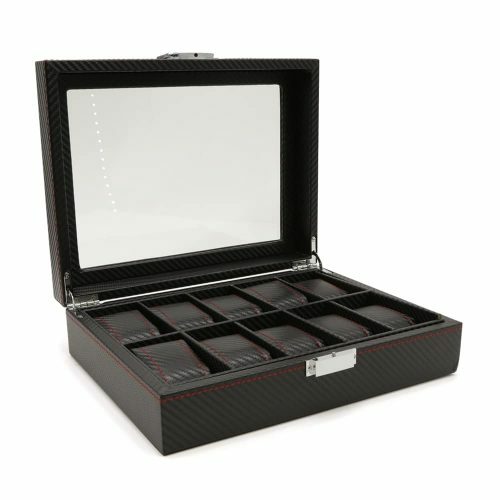 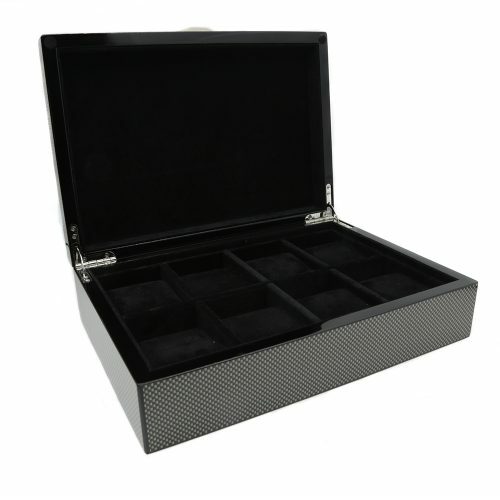 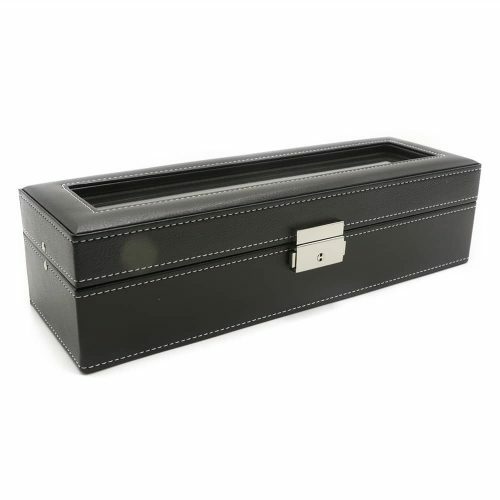 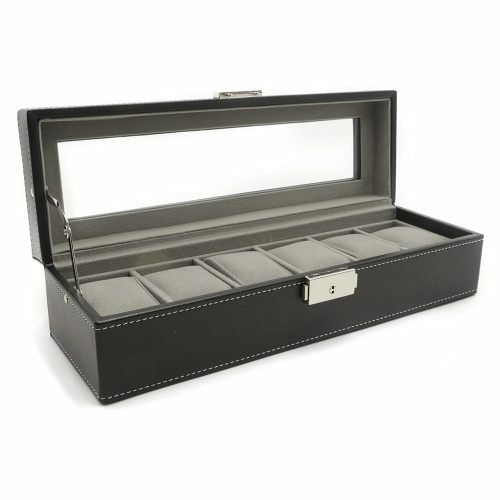 Showcase your collection of fine watches with this simple yet stunning Black Royal 5 Slot Watch Box. 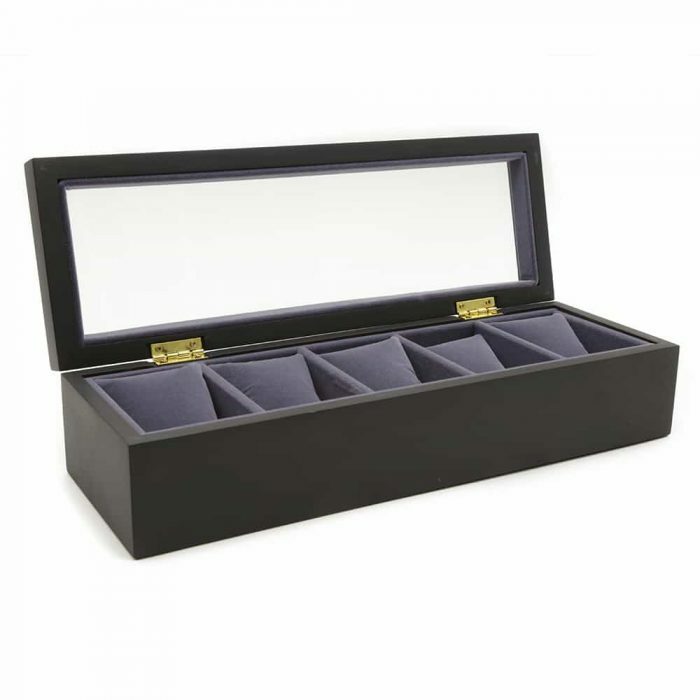 It comes with a black exterior and accentuated by the visible purple interior. 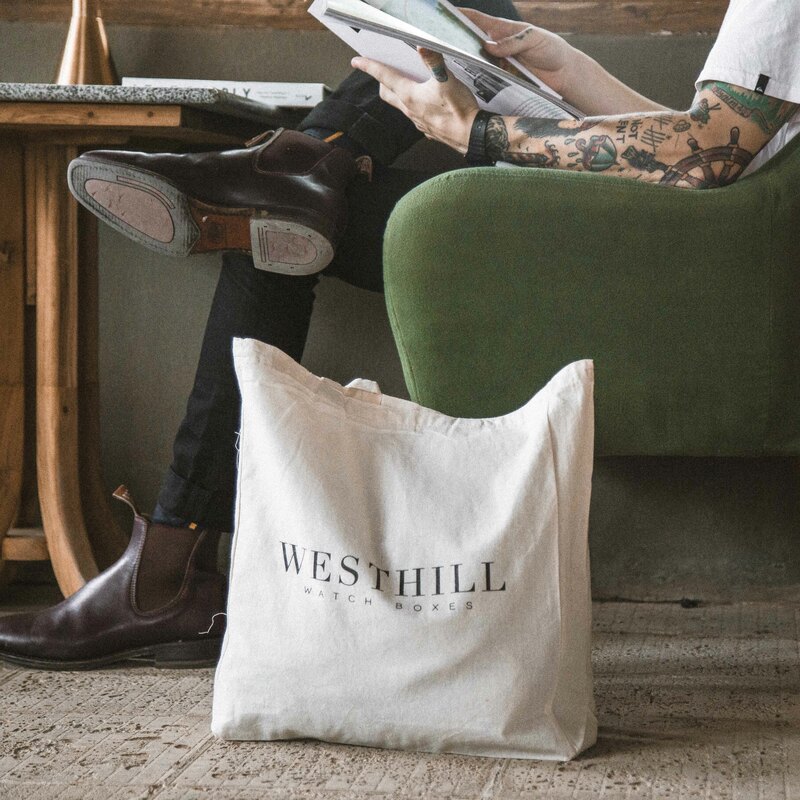 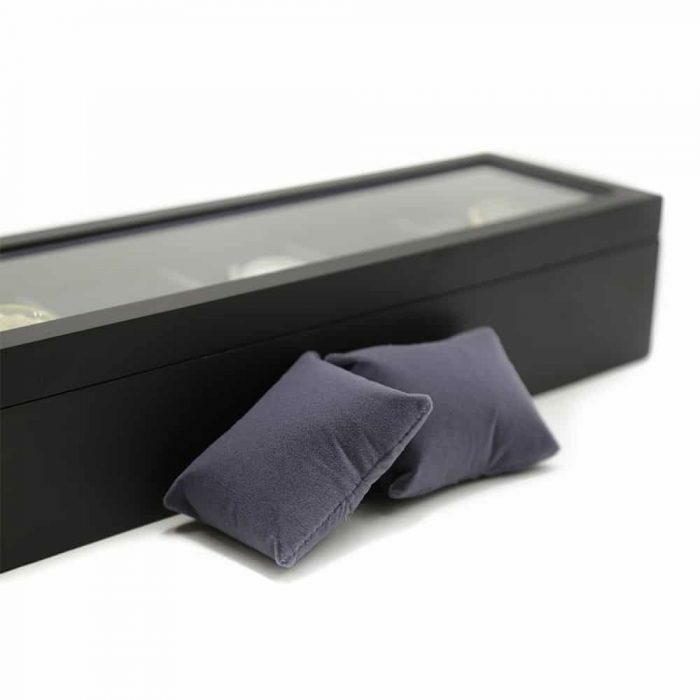 It comes with extra soft large watch pillows making it perfect for watches of all sizes. 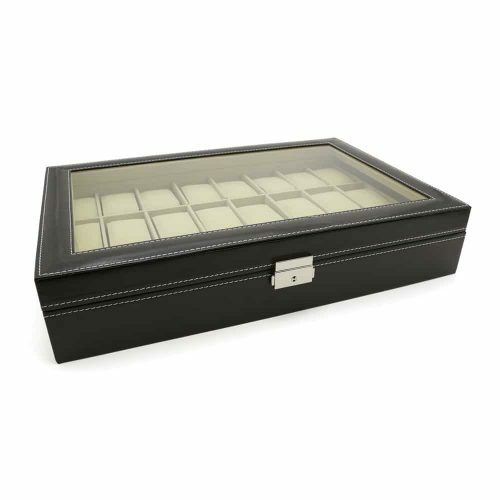 For easy viewing of your collection, it has a large glass lid making it perfect for display. 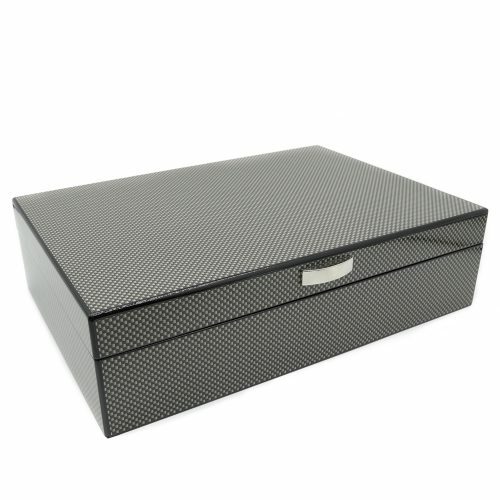 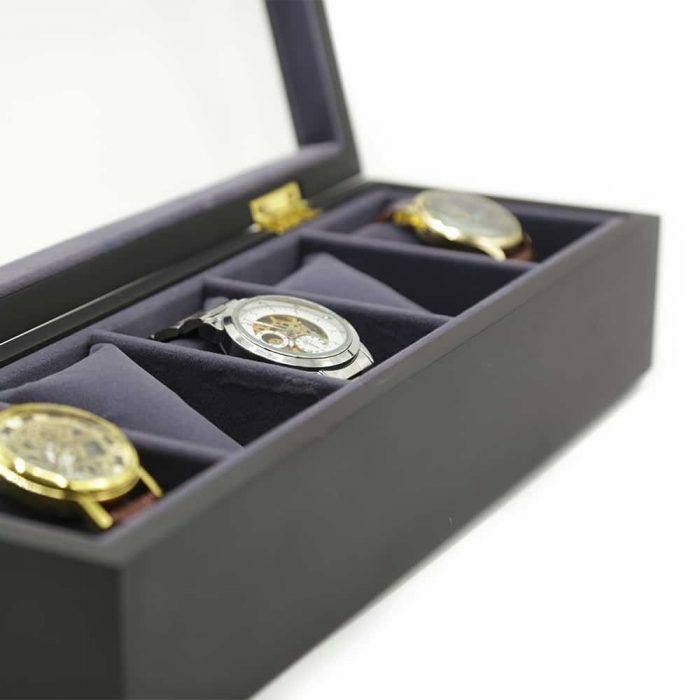 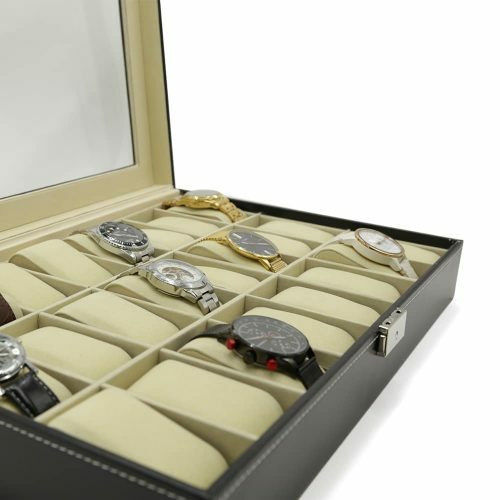 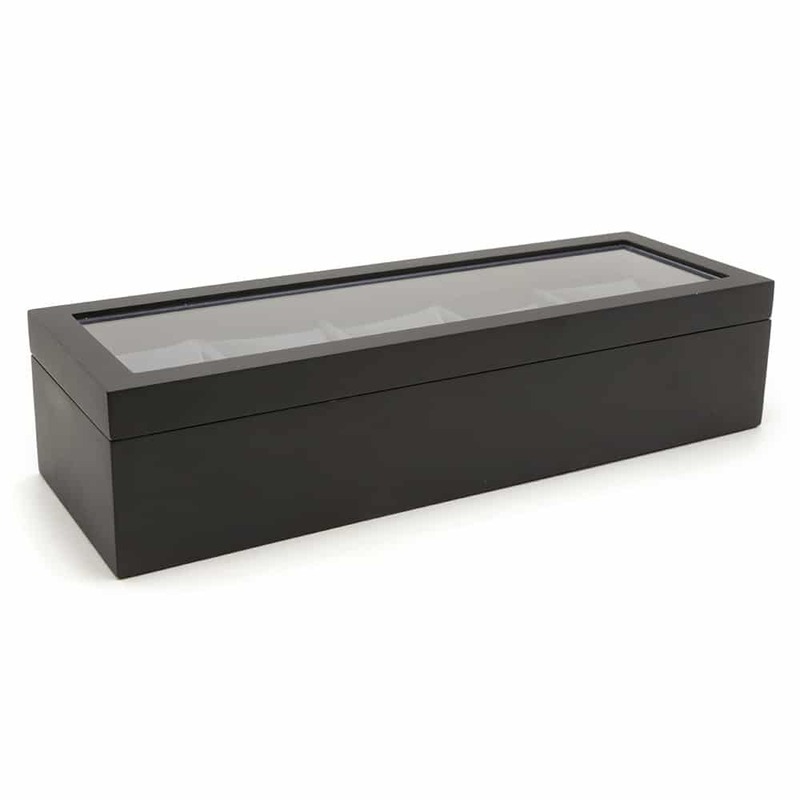 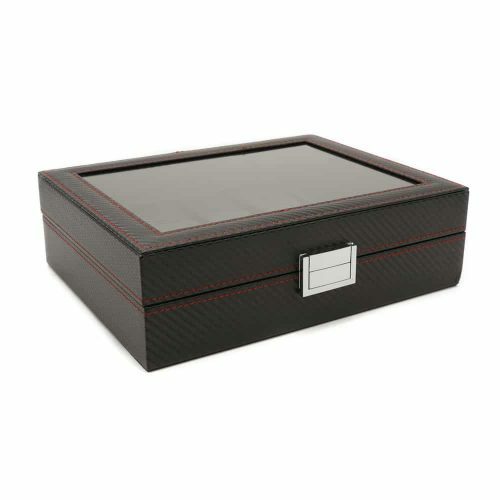 This box is a great decorative piece and it keeps your watches dust-free and protected from the humidity.